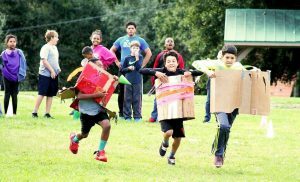 Students in the after school program at the YMCA Camp Cristina will benefit from the donations earned by Tammy Holmberg as the winner of the Riverview Chamber of Commerce Honorary Mayor’s race. The photo above shows kids participating in a handmade cart race. 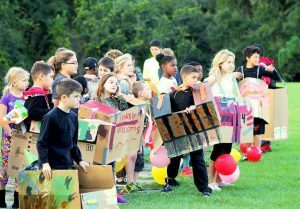 For the first time ever, a local Honorary Mayor’s race gleaned more than $40,000, which enabled the event’s chief sponsor, the Riverview Chamber of Commerce, to give 60 percent of the proceeds to the candidates’ charities instead of the usual 50 percent. Hillsborough County has only three municipalities — Tampa, Plant City and Temple Terrace. 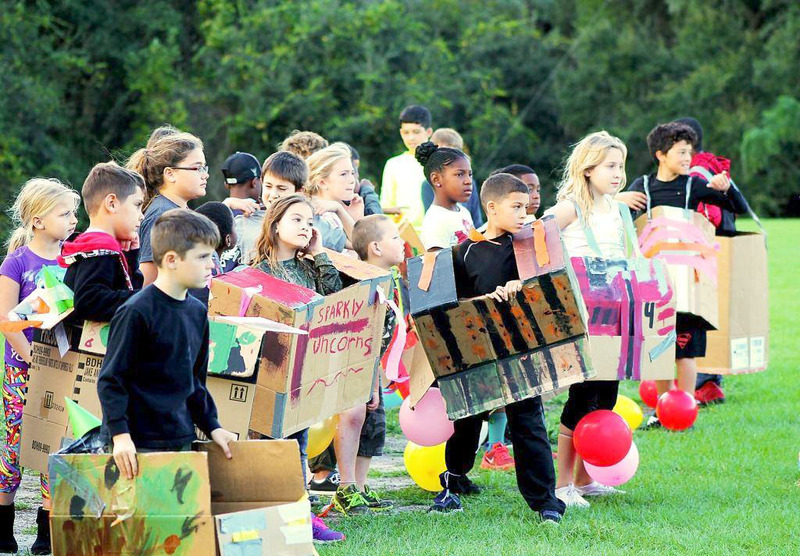 Unincorporated Hillsborough County has only the county commission and no closer layer of government, so about 25 years ago an Honorary Mayor’s race was started in Riverview and other communities in South Hillsborough County. Although these Honorary Mayors have no real authority, he or she represents the community and works to better it throughout the year-long term. Under the leadership of this year’s Event Committee Chairs Melissa Hartmann and Robert Hintze, four candidates raised money for the charities of their choice. At the dinner when the checks were presented, Holmberg was unexpectedly honored by Stacy White, Hillsborough County Commissioner District 4 and the commission’s Chaplain. Three other candidates worked hard for their charities as well. The Reiths, $5,739.40 to Aflac Cancer & Blood Disorders Center; Bancroft, $756 to Faces of Courage; and Hughes, $3,975.02 to the Mary & Martha House for homeless and abused women and their children. 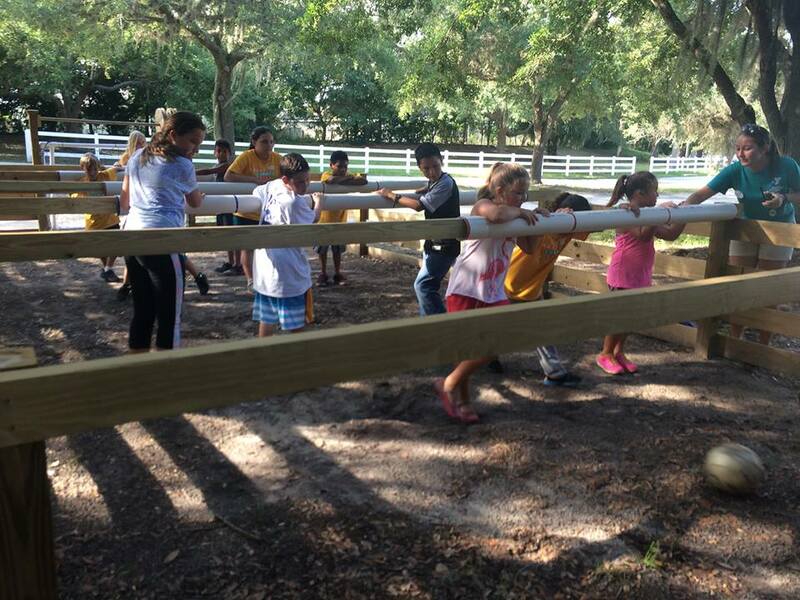 Human foosball at Camp Cristina summer camp. Debbie Kirkland, chamber membership director, stated in a telephone interview Sept. 24, that this was the most successful Honorary Mayor’s Race ever. 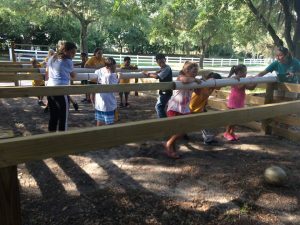 According to Lalita Llerena, communications director for the Tampa Area YMCA, all the money donated by Holmberg will go to the YMCA’s Camp Cristina. 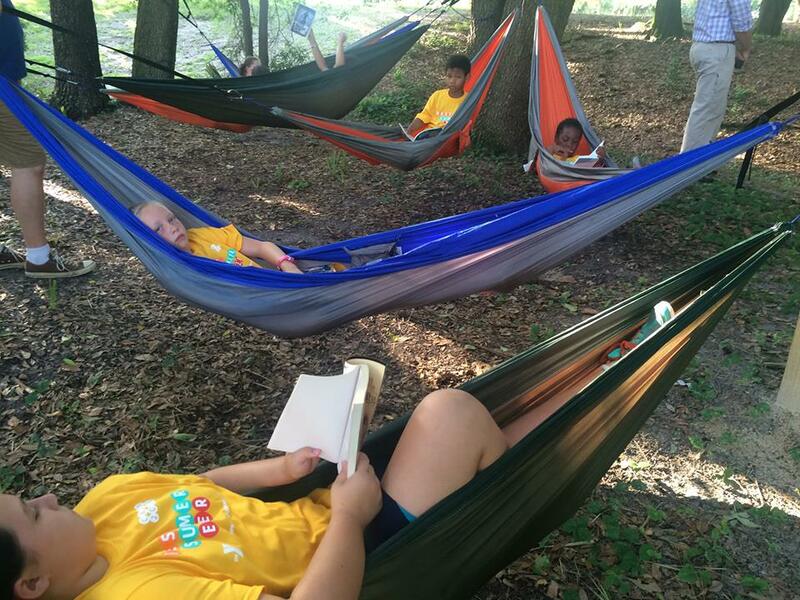 At Camp Cristina after school programs, kids can use the reading hammocks to relax and enjoy a good book. The chamber usually keeps half of the totals collected in the annual race for operations and events during the year; it is its main fundraiser. For more information about the mayors’ event, or the Riverview Chamber of Commerce, visit riverviewchamber.com.